For the great majority of devices, manufacturer-provided OS update support is rather short. Some of this is due to technical difficulties and a lack of consumer interest, but really it just comes down to profitability for the OEMs in question. Luckily, there are devices that have received extensive aftermarket development such as the HTC HD2, Samsung Galaxy S, and Motorola Defy, which have enjoyed unofficial Android updates far after they were EOLed by their respective manufacturers. 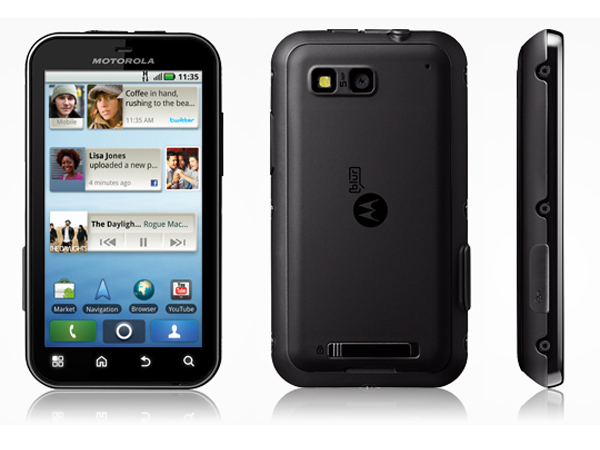 At least one of these devices, the Motorola Defy, has quite a bright future ahead. Plenty of good development takes place for this device, and users will soon have a chance to test the recently released Android 5.0 Lollipop. XDA Recognized Developer and Contriubutor Quarx presented some screenshots of Motorola Defy running Android Lollipop. The initial port was made atop of the Linux 2.6.32 kernel (released in 2009), but Quarx is working hard to port the 3.10 kernel from the Moto 360, which uses the same TI OMAP3 SoC. It’s definitely nice to see a 4 year old device, which was released with Android 2.1, getting an unofficial update to the newest version of Android. Many things have changed since 2010, but the Motorola Defy is still alive and kicking, so don’t be surprised to see this phone getting even newer versions of Android down the line. The Defy and few others won’t just die, since they are simply epic devices. Oh, and I also almost forgot to mention that the Defy has a locked bootloader, which makes all of this even more interesting. You can follow the development by visiting the CM11 Android 4.4 for the Defy(+) thread.